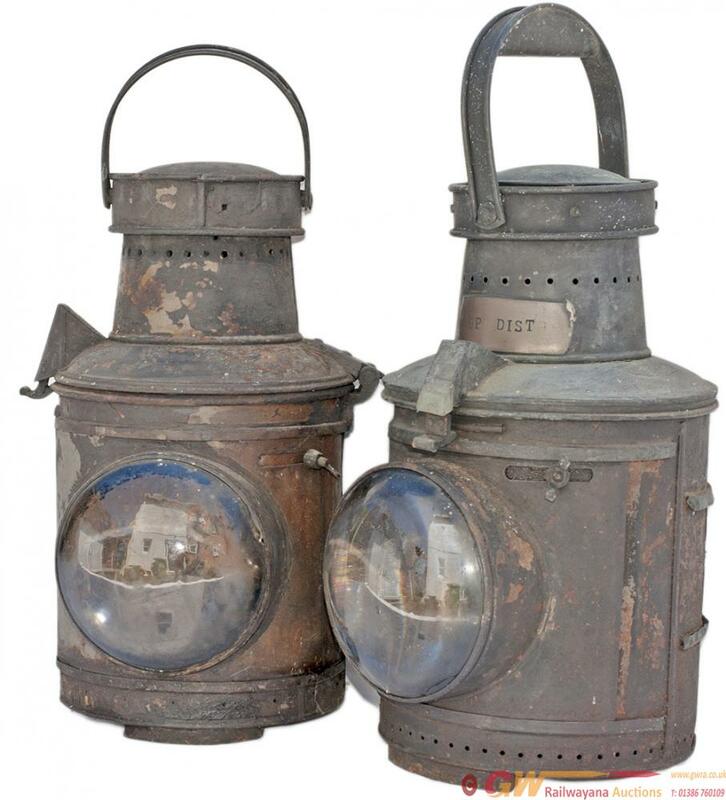 A pair of Victorian large signal lamp cases, one is brass plated UP MAIN. Both are in original condition, one requires the flip up hinge to be resoldered. Both stand 16in tall.